The Sailing World Rankings are the definitive rankings for Olympic sailors. The Sailing World Rankings were revamped three years ago so that sailors could measure performance in the Olympic class regattas over a 12-month period. 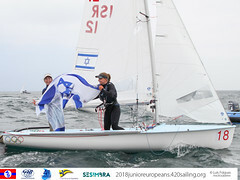 ISAF and the Olympic classes use this worldwide ranking as the basis for qualification to regattas with restricted entry, such as the ISAF Sailing World Cup regattas; meanwhile, many countries use it as a basis for selection between their sailors. Climbing the world rankings is becoming an essential element of any sailor’s Olympic campaign. To establish a world ranking sailors count the points from their top-six regattas over the previous 12 months; if a sailor has competed in fewer than six regattas, then he or she is unlikely to be world #1 in their class. Regattas are classified as 200, 100 or 50-pointers. 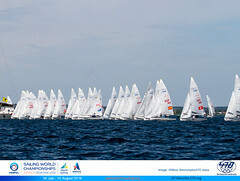 World championships and ISAF Sailing World Cup regattas are 200-pointers. Continental championships and major international regattas are 100-pointers, and other international regattas are 50-pointers. The winner gains the maximum points while points for finishing halfway down the fleet are half this maximum. 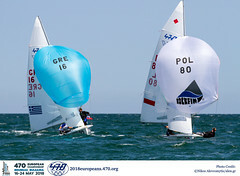 This means that a good result at a 100-pointer will score more points than a poor result at a 200-pointer, so top sailors have to keep performing to avoid being overtaken. Nearly one hundred 50-point regattas are recognised by ISAF in 2015 so entry into the rankings is relatively easy. But next comes the campaign to climb those rankings to receive invitations to restricted entry events like the ISAF Sailing World Cup. The new formula for calculating ranking points is: Points=E(N-P+1)/N (E is Event Rank, N is # entries and P is place). The top 85% of finishers at a regatta will receive points and scores will be rounded down to the next whole number. The Grading Criteria for Ranked Events is defined in ISAF Regulation 27.1. The dates and grading will be confirmed by the Secretariat which will endeavour to avoid conflicting dates and to ensure the Regulations determining how many of each grade of event may take place per contintent for each class. 50-points - Olympic Class Continental Championships, other international evnts using Olympic equipment (not compliant with 100-point criteria). Events which attract particularly large and competitive fleets can be upgraded providing they meet the Grading criteria of the higher level. Events can also be downgraded if they fail to meet the criteria.